Bunch of students who have basically no web experience whatsoever cobble together a little web application over the weekend for Hack Harvard 2016 - waypaver. 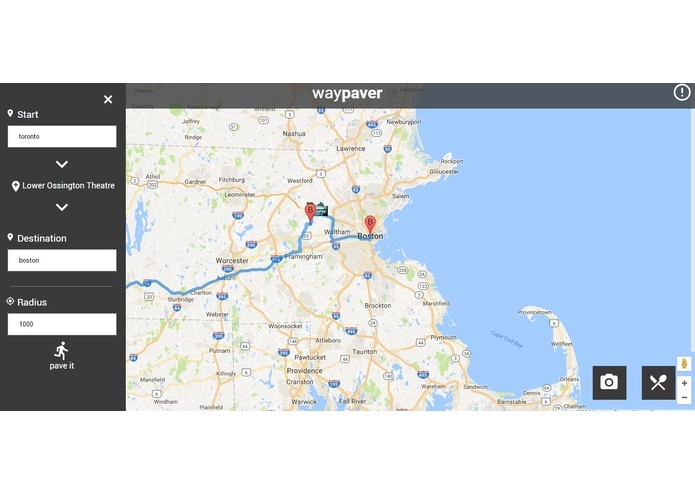 waypaver detects the presence points of interests (which are tourist attractions or places for food) along a path between two points. The user then has options to add any of these additional points to their road trip, and a new path (with new attractions!) is automatically drawn for them.